Reuters reports that China has made “stern representations” to the U.S. government that permitting President Tsai to pass through American airports on her trip would violate the “one China” policy, which holds that Taiwan is firmly part of China. Tsai’s trip, which is scheduled to begin on Saturday, will take her to Tuvalu, the Solomon Islands, and the Marshall Islands. China has been working diligently since Tsai’s election to drive Taiwan’s few formal diplomatic allies away. Speaking at a symposium on cross-strait exchanges on Thursday, Tsai said she hoped for better relations between Taiwan and mainland China now that China’s Communist Party Congress has concluded and President Xi Jinping has been confirmed to another five-year term. 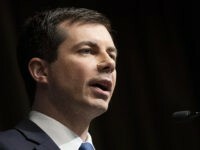 “I’ve always thought that a national leader must act in the best interests of the people as a whole. To have stable cross-strait relations, the ruling parties on both sides need to interact, increase mutual understanding, and gradually build trust so they can deal with issues surrounding cross-strait relations together,” she said. “Our goodwill will not change, our commitments will not change, we will not revert to the old path of confrontation, and we will not bow to pressure,” she declared. 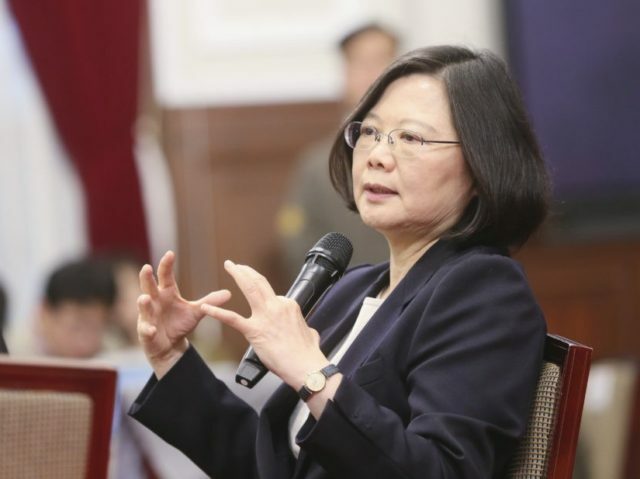 Tsai hinted that she wanted “further improvement” in the relationship between Taipei and Beijing, including more liberalized trade and relaxed restrictions on travel – a hope ironically expressed at the moment Beijing is attempting to limit her personal ability to travel internationally.